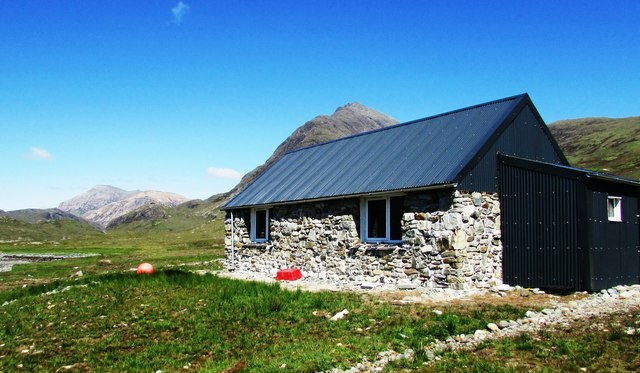 There’s something uniquely British about bothies and the way they fit into British mountain activity. 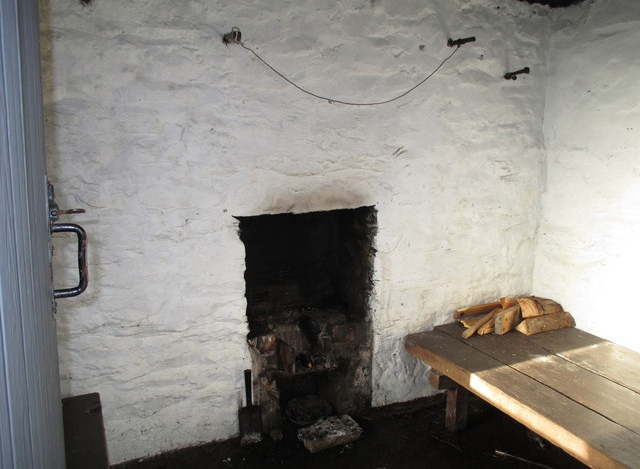 A bothy was originally rough accommodation for itinerant workers such as shepherds, quarrymen, miners and gamekeepers, but as the need for bothies fell away the lonely cottages were falling into disuse and becoming derelict. 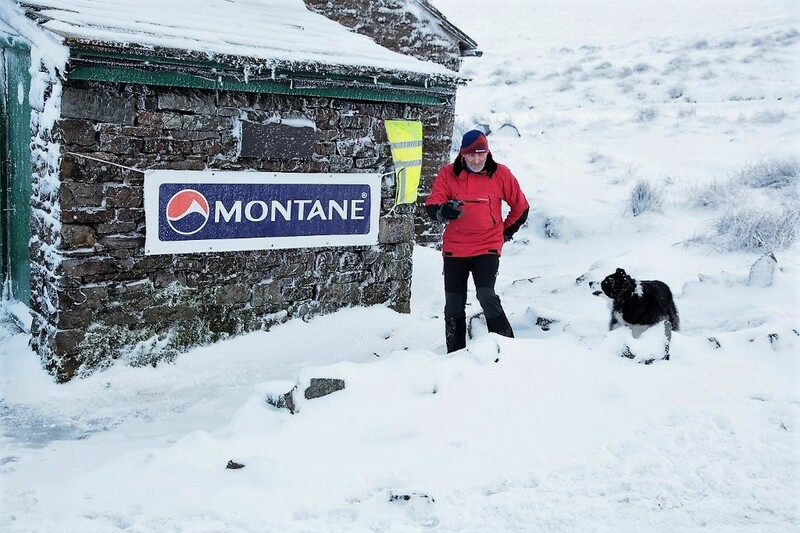 To the rescue came the Mountain Bothies Association (MBA). 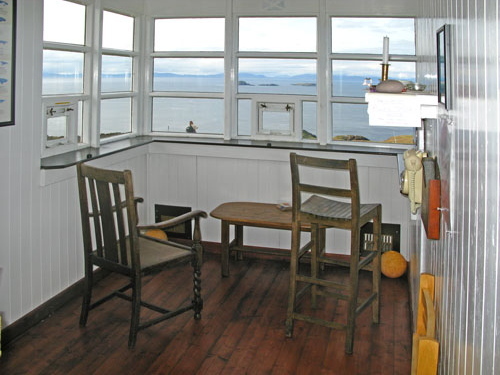 The deal is this – the MBA maintain the bothies on behalf of their owners and with their permission. They are then made available for use by anyone travelling through the mountains of the UK – for FREE! 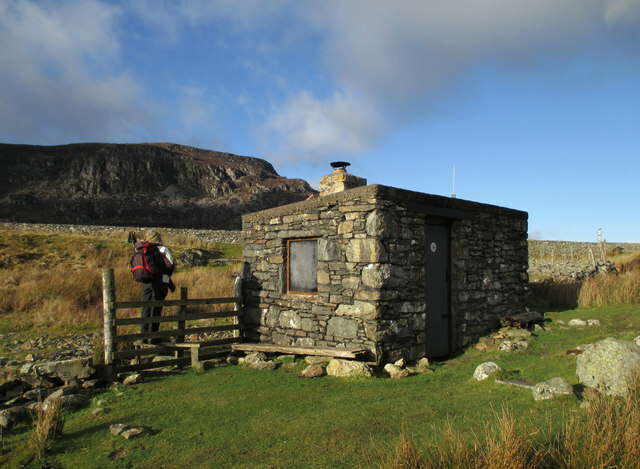 The MBA raises money as a registered charity to repair and maintain the buildings, but it costs nothing to stay in a bothy, nor do you have to be a member of the MBA to do so. 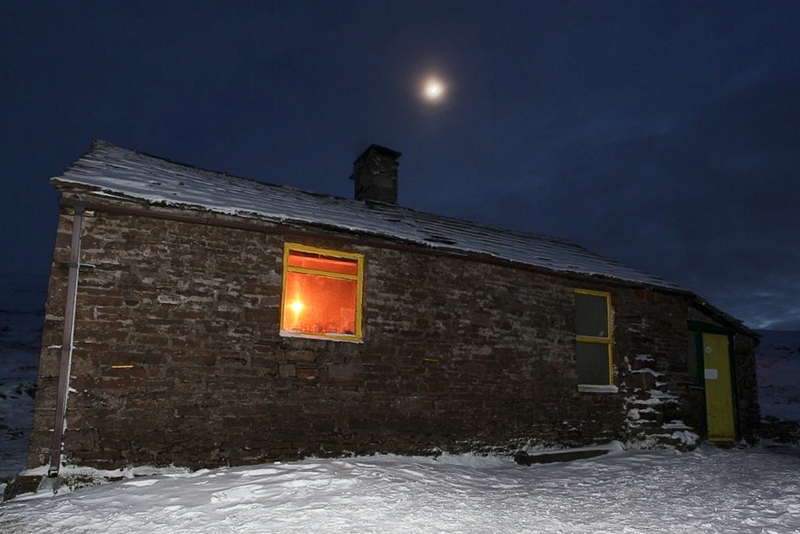 Quite often the bothies are in remote and beautiful locations, and to spend a night by a bothy fire with a glass of whisky to hand must be as near to heaven as you can get. 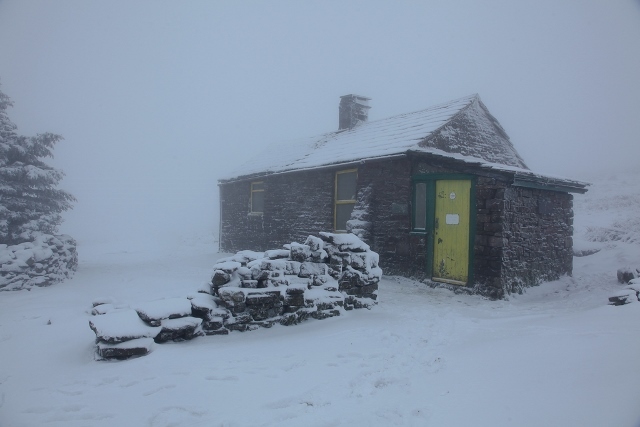 Regular readers will remember that every January I head off to ‘Greg’s Hut’ bothy near to Cross Fell in the Northern Pennines. 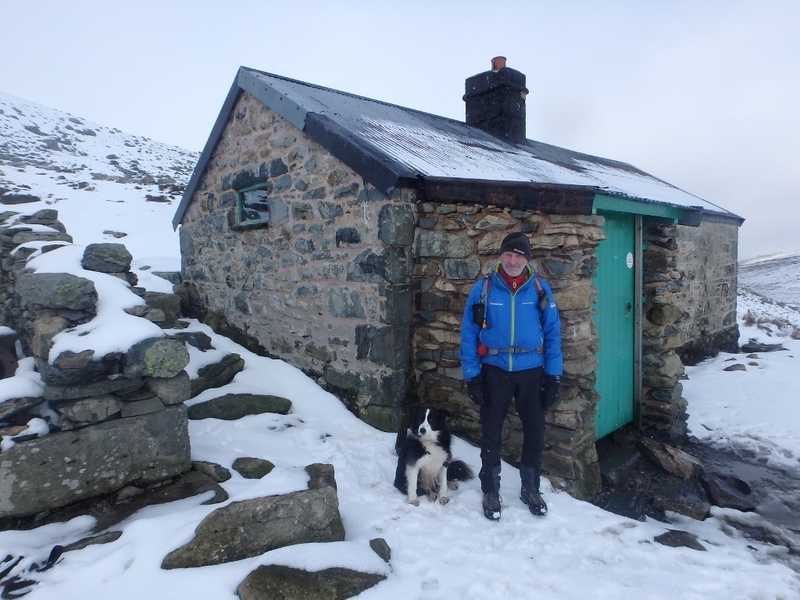 Greg’s Hut is one of the bothies maintained by the MBA, and at an altitude of 700 metres it is the highest bothy in the UK – in January it’s probably also one of the coldest, but a wee bit of coal on the fire soon makes the place a bit more homely. Also along for the trip are the usual suspects, lifelong friend John Bamber and my Border Collie ‘Mist’ – for 2-3 days we become part of the Spine Race (see post #141) and Greg’s Hut (plus the weird inhabitants) has become part of the Spine legend. 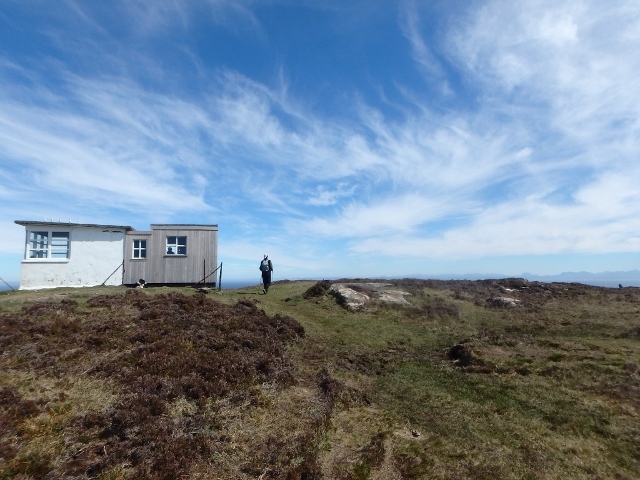 Of the 100 or so bothies maintained by the MBA, the majority are in Scotland, with eleven (including Greg’s Hut) in England and nine in Wales. Living in North Wales, I’m lucky to have a couple of bothies almost on the doorstep. 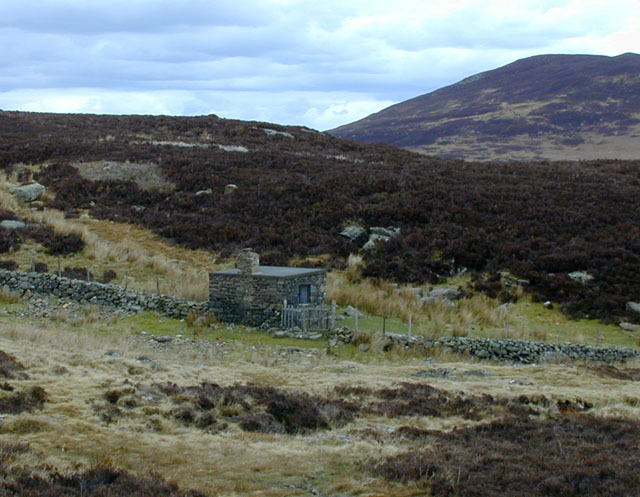 Nearest is the bothy at Dulyn in the Carneddau, about 38kms (less than 24 miles) from where I live as the crow flies (see posts #197 and #218) and just a little further away is the tiny bothy near Arenig Fawr (see post #180). 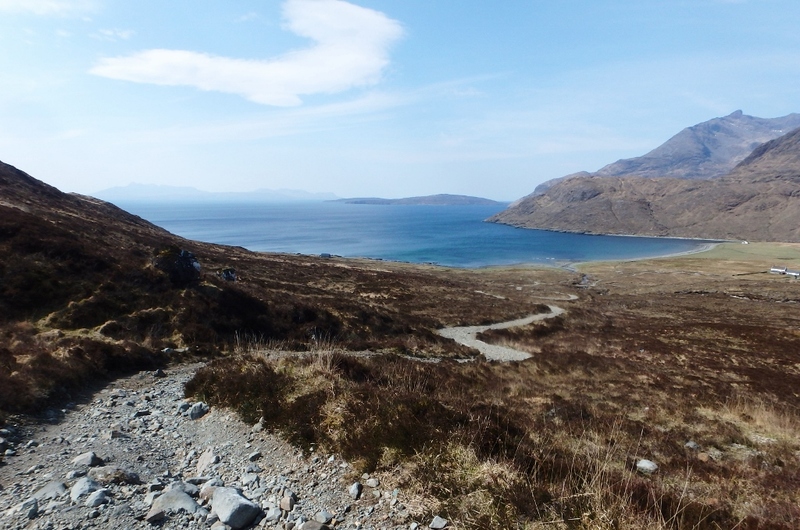 On our Scottish trip in May we found time to walk out to two bothies on Skye. Unfortunately an overnight stay wasn’t on the cards (Chris likes her comfort nowadays, and leaving a comfortable campervan complete with cocktail cabinet wasn’t part of her game plan!) but ‘Mist’ needs a good walk each day and is always up for a trek somewhere. 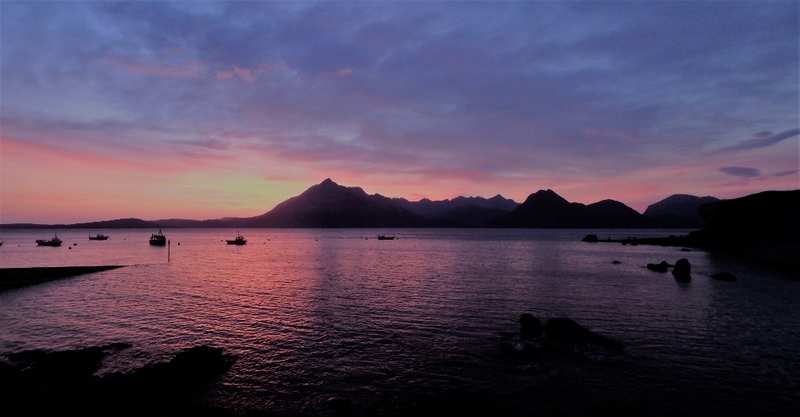 We started the Skye visit at Elgol, and that night we watched the sun go down over the dramatic Cuillin Mountains – the next day we had a wander out to nearby Camasunary Bothy. 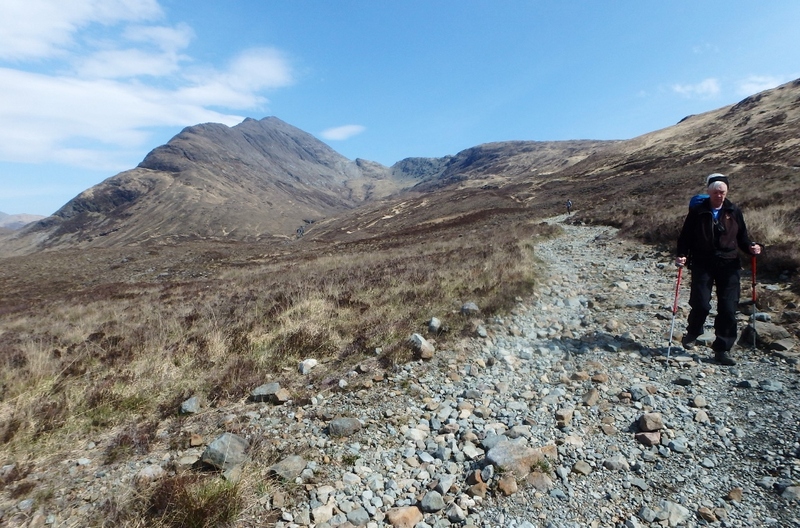 The track from Kirkibost crosses a bealach (pass) …. The walk in is short by standards, with a total of 10kms there and back, though surprisingly for a low-level walk it has a total height gain of nearly 400 metres. The previous night I had spoken to a fisherman at Elgol who told me how his uncle had built the rough track from Kirkibost to Camasunary – ‘Uncle’ had been a Colonel in the Royal Engineers, and apparently had great fun blasting the track through solid rock, but the track has stood the test of time and is the most logical way into Camasunary Bay other than going around the coast. The walk in to Camasunary may be a low-level route, but it’s full of drama. 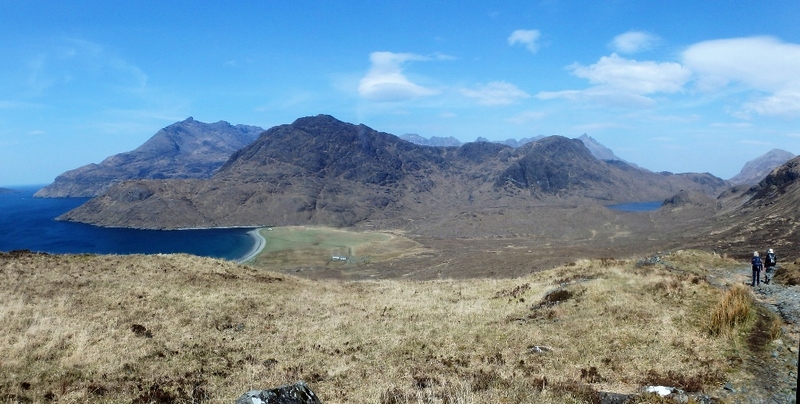 After crossing the bealach (pass), the panorama opens up to include some of the best views of the Cuillin Mountains – as this was the first time I had approached the Cuillins from this direction, I was seeing familiar mountains from a totally different aspect. 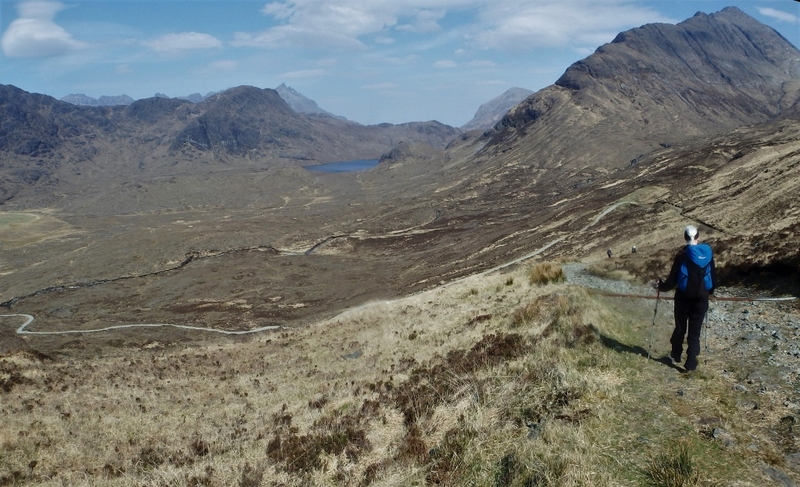 The path from the bay heading north to Sligachan was very tempting but we didn’t have time on this trip. 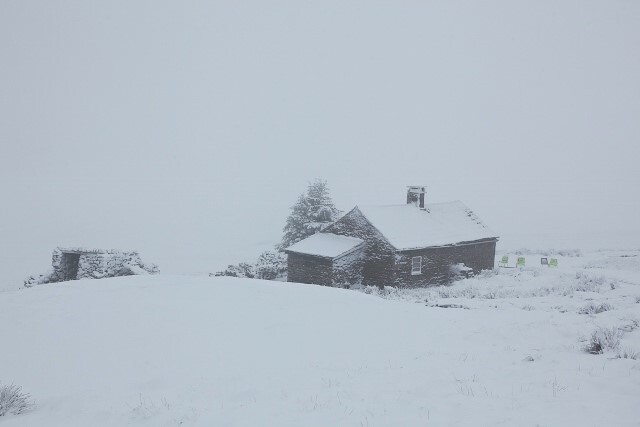 The old bothy, which had been a popular destination for years, was taken back into use by the landowner in 2014 – the owner had visited travellers at the bothy on numerous occasions and seen for himself the simple pleasure walkers had staying there, and in an extraordinary act of generosity offered to pay for the building of a replacement nearby. 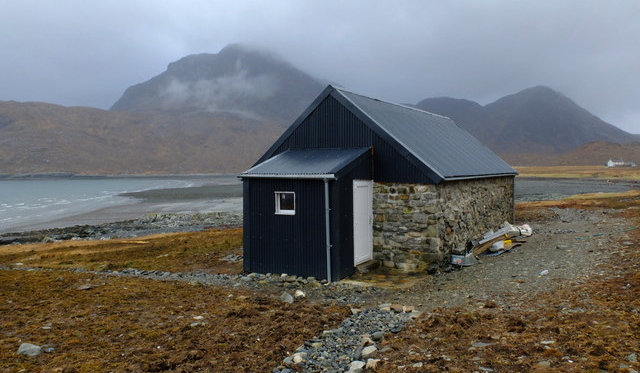 The new bothy was built by 59 (Commando) Squadron of the Royal Engineers as a project, and volunteers from the MBA fitted out the building when it was complete – the new bothy is the first and only one built as such and not converted from other use. 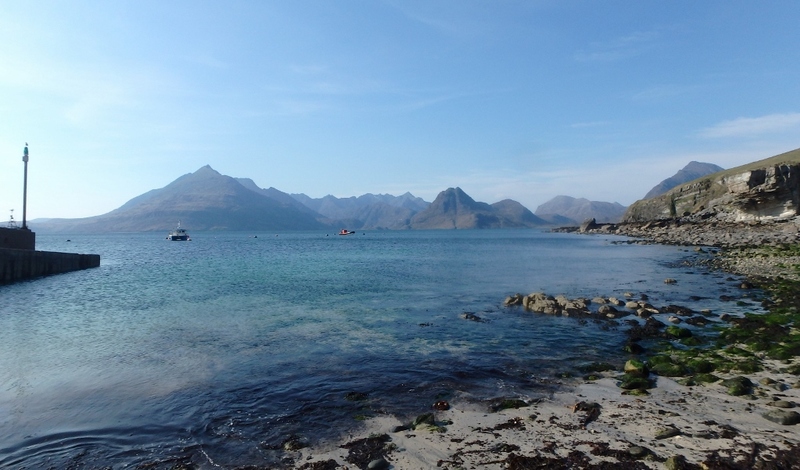 Setting out near Shulista on Skye …. 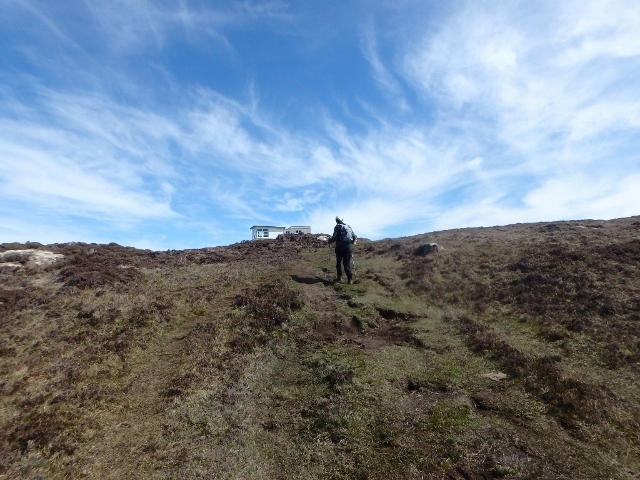 ….heading for the Lookout bothy …. 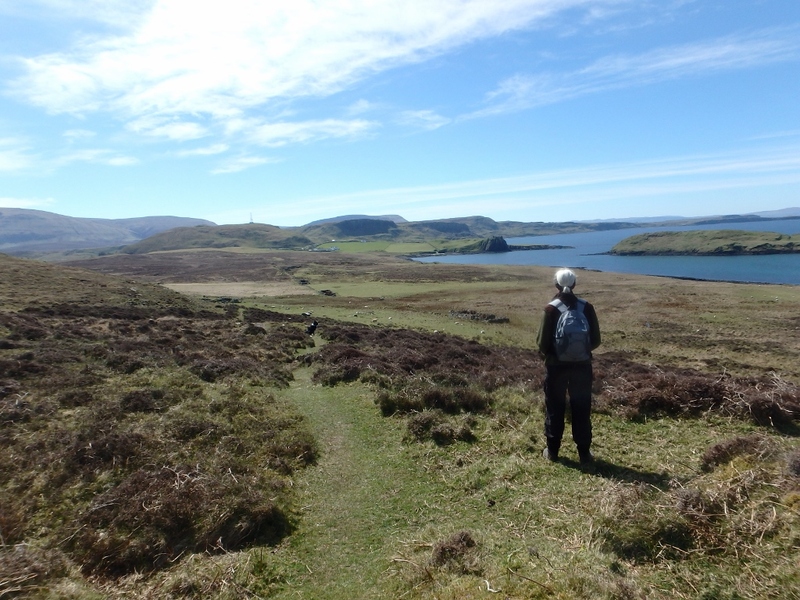 A few days later we were at the far north of Skye to walk out to ‘The Lookout’ at Rubha Hunish Point. 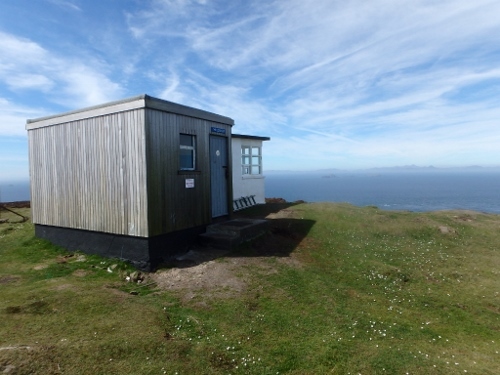 As the name suggests, the bothy was previously a Coastguard lookout, and when it became redundant it was taken over by the MBA. 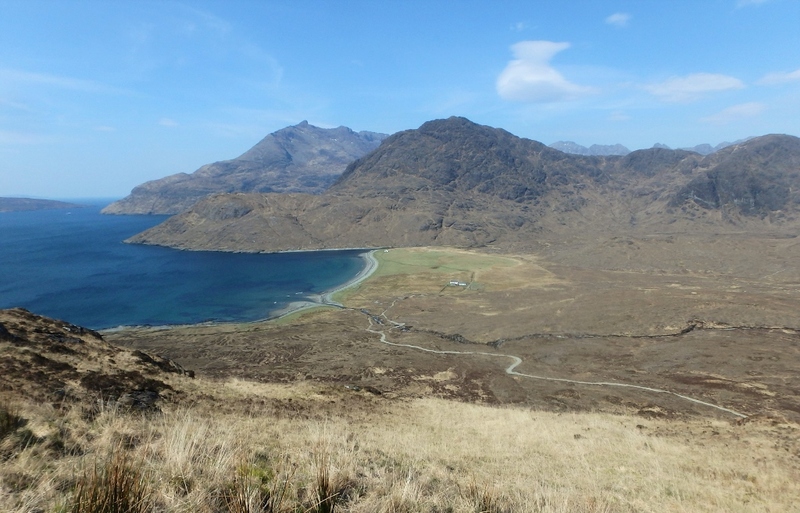 The walk is different in character to the Camasunary walk – instead of the majesty of the Cuillins we had views of moorland, sea and big skies. Great views out to sea …. 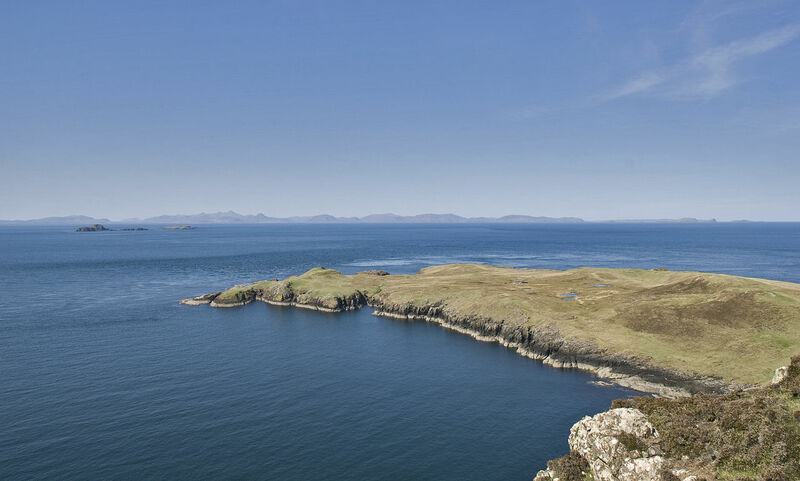 Just visible to the north west are the distant islands of the Outer Hebrides …. 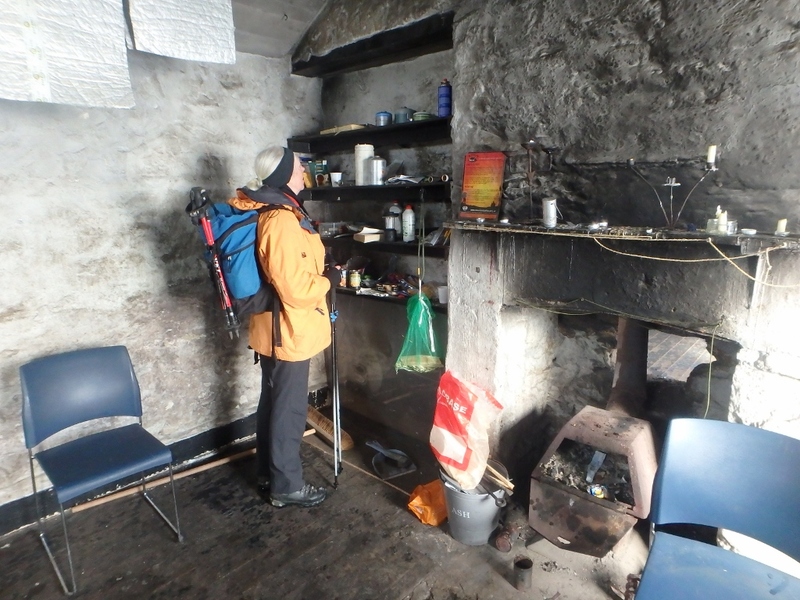 At the bothy, we stayed long enough to eat our ‘sarnies’ and have a brew of coffee, and we were lucky enough to meet Bill, the bothy custodian, who had come out for an inspection visit. Views out to sea were amazing, with the Outer Hebrides visible to the north west, and out to the east was Wester Ross, our next destination on the mainland where we would be heading in a few days. 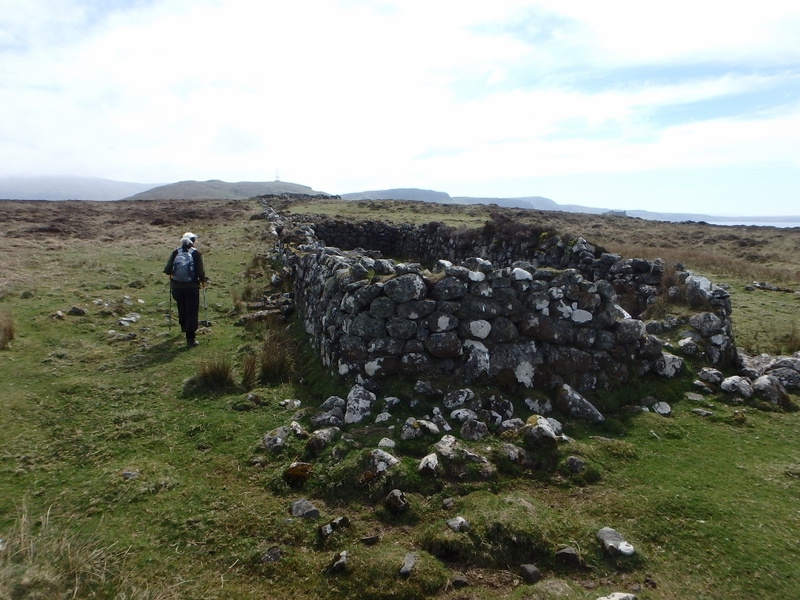 Our return route took us by the old abandoned settlement of Erisco. The small crofting township was built by the land-owning MacDonalds for tenants who were being resettled to better arable land at Erisco from poor land intended for sheep grazing. 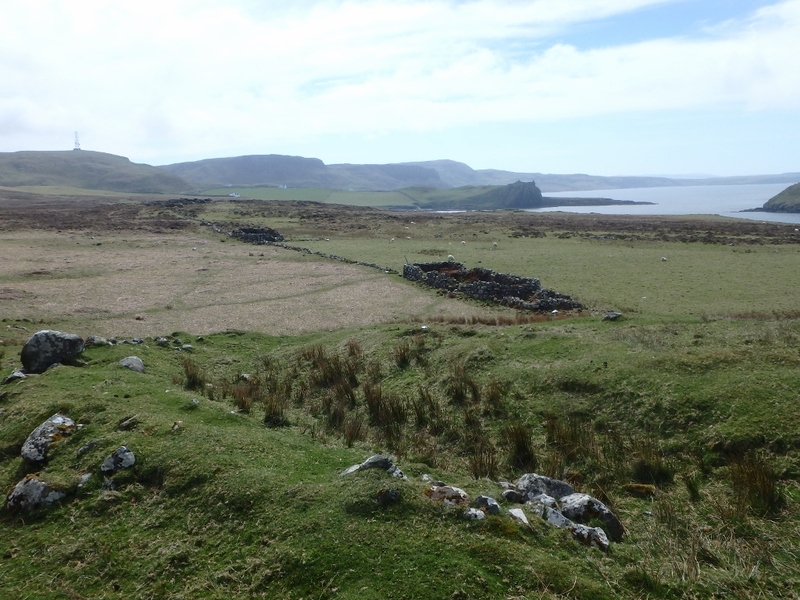 In due course, better settlements were built elsewhere, and the crofters abandoned the Erisco township; it now stands deserted, probably full of ghosts and memories. 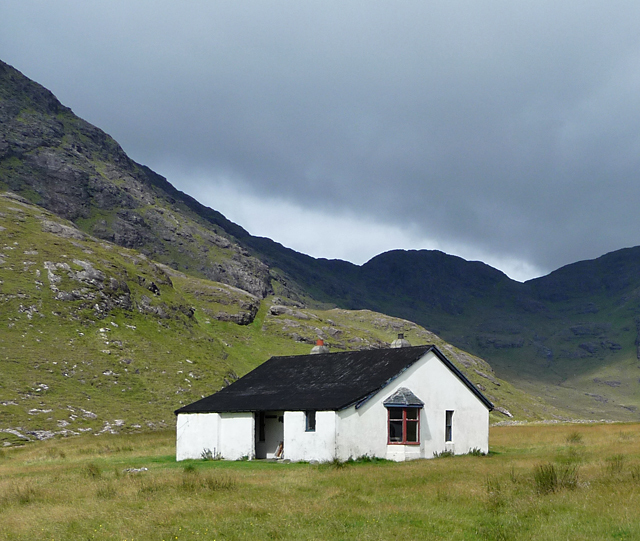 It’s a fair bet that the same ghosts and memories also inhabit the mountain bothies of the UK. Go and visit sometime soon. 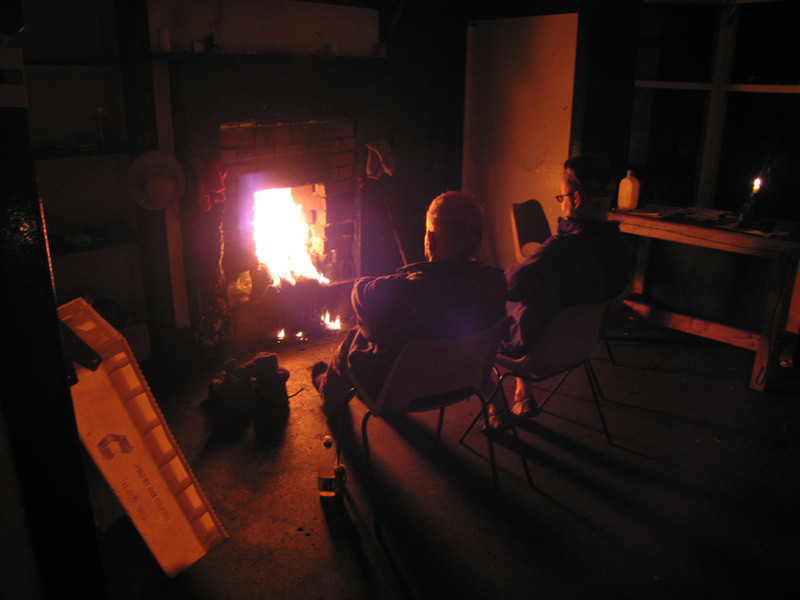 Text and images © Paul Shorrock except images tagged (JB) © John Bamber and image tagged MBA © The Mountain Bothies Association. p.s. 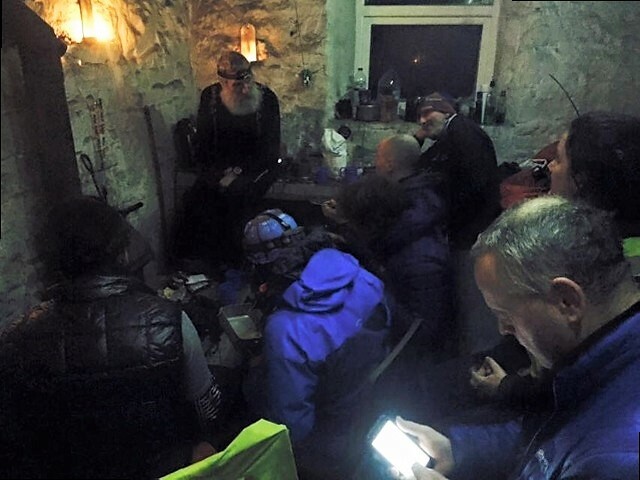 if you want to read a great bothy tale check this out by blogger/writer John Burns https://www.johndburns.com/the-night-the-bothy-burned/ If you enjoy that, have a wander round his website for more blogs, or even better buy his latest book ‘The Last Hillwalker” – a great read! This entry was posted in 1. Scotland, 5. North Wales, Bothy days and tagged Border Collie, bothy, mountains, photography, Scottish Highlands, Snowdonia. Bookmark the permalink. I love a night in a bothy and don’t find it any kind of hardship just so long as it has a fire and I can manage to light it. The bit I do find hard is carrying all the stuff in, especially the burnables! 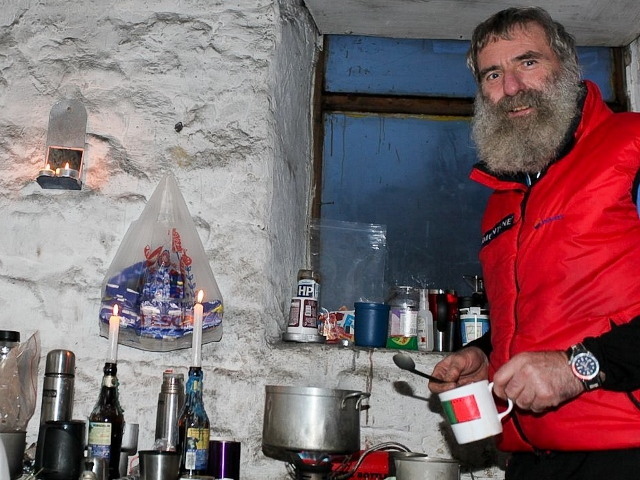 Spot on Carol – when we finish at Greg’s Hut on the Spine Race we always leave a load of coal and wood. I hope it’s a nice surprise for visitors over the next few weeks afterwards. it certainly will be. I love it when the estate chop up wood if the bothy is in or near a forest and they leave you loads of it.